Born on 01.05.1946. Enrolled as an Advocate on 18-1-1972. Worked as Asstt. Public Prosecutor for the State of Nagaland before subordinate Courts in the districts (1975-77, Junior Government Advocate and Public Prosecutor(1977-81), Standing Counsel and Public Prosecutor(1981-1983), Senior Govt. Advocate and Public Prosecutor (1983-1988) for the State of Nagaland before the Gauhati High Court. Also worked as Joint Legal Remembrancer and Joint Secretary (1988-1991), Additional Legal Remebrancer and Additional Secretary (1991-1995) and Legal Remembrance and Secretary to the State of Nagaland (1995-2003). He was appointed as Additional Judge of the Gauhati High Court on 28-3-2006. 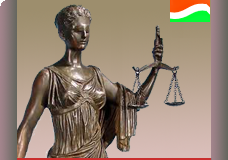 He was appointed as an Additional Judge of the Gauhati High Court on 28.03.2006. Retired on 01-05-2008.